Schematic of intersectional monosynaptic tracing (iMT) principle. iMT is a novel genetic strategy combining the principle of rabies virus-mediated monosynaptic tracing with a Cre/Flp recombinase dependent intersectional labeling method. Functionally and anatomically distinct cortical substructures, such as areas or layers, contain different principal neuron (PN) subtypes that generate output signals representing particular information. Various types of cortical inhibitory interneurons (INs) differentially but coordinately regulate PN activity. 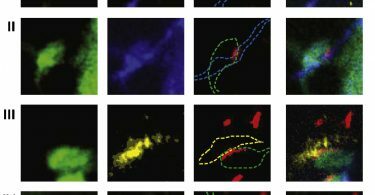 Despite a potential determinant for functional specialization of PN subtypes, the spatial organization of IN subtypes that innervate defined PN subtypes remains unknown. 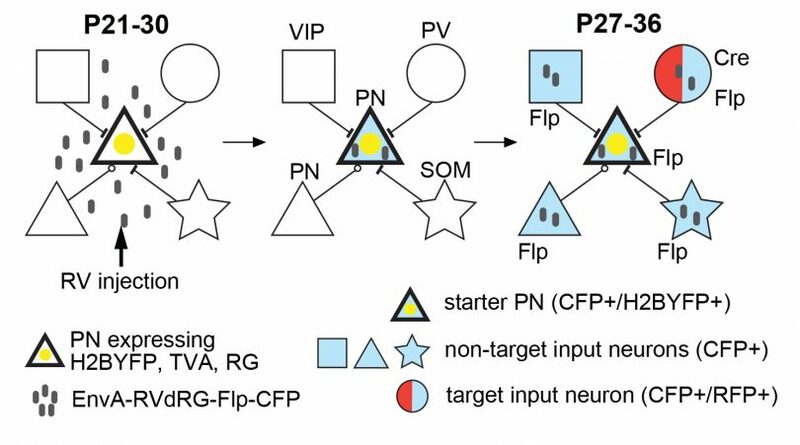 Here we develop a genetic strategy combining a recombinase-based intersectional labeling method and rabies viral monosynaptic tracing, which enables subtype-specific visualization of cortical IN ensembles sending inputs to defined PN subtypes. Our approach reveals not only cardinal but also underrepresented connections between broad, non-overlapping IN subtypes and PNs. Furthermore, we demonstrate that distinct PN subtypes defined by areal or laminar positions display different organization of input IN subtypes. 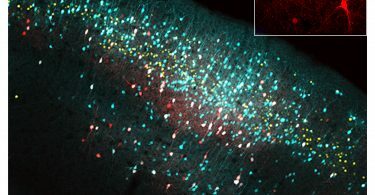 Our genetic strategy will facilitate understanding of the wiring and developmental principles of cortical inhibitory circuits at unparalleled levels. Michael J. Yetman, Eric Washburn, Jung Ho Hyun, Fumitaka Osakada, Yasufumi Hayano, Hongkui Zeng, Edward M. Callaway, Hyung-Bae Kwon, and Hiroki Taniguchi. Nature Neuroscience, January 28 2018.